Get free advice and estimates from communications and networking experts in your city. Ethernet 1 has been described as the plumbing of the Internet. The cables used to transmit data have undergone several transformations already, with newer ones in the works. The two most commonly installed today are CAT6 and CAT7, or category 6 and category 7 wires. Both give households and offices the kind of performance necessary today, which means that it can be difficult to determine which one is right for you. Below, we’ll explain the differences between them, allowing you to decide which one will suit your needs. Ethernet 1 cables continue to evolve every few years to meet people’s data needs. There are several options available today. The one you choose should be based on your needs and the amount of bandwidth 2 you require to transmit data. The CAT6 wires can transmit roughly 400 MHz over 55 yards. The main advantage over previous cables is the reduced noise and crosstalk. CAT6A cables transmit up to 500 MHz, which is roughly twice the bandwidth 2, or range of frequencies transmitted, of CAT6. CAT6A goes further in reducing noise and crosstalk, so there is less error in other devices on the same line. Both CAT6 and CAT6A are slightly larger than previous incarnations and may be difficult to attach without special modular connectors or adapters, which attach the thicker wires to your network. CAT7 has an additional increase in bandwidth 2 and a further reduction in noise and crosstalk. It is made for frequencies of up to 600 MHz and is specifically designed for high speeds. CAT7A operates at frequencies up to 1000 MHz and can transmit 40 gigabits up to 54 yards and 100 gigabits up to 16 yards. The main advantage of CAT7A is the ability to use multiple applications at one time with a single cable. 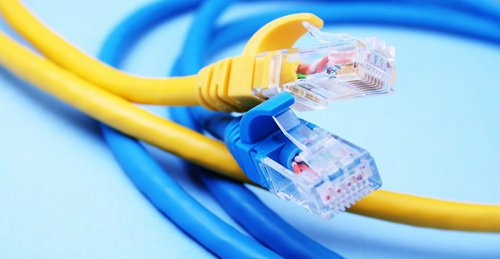 Most people find that CAT7 and CAT7A provide significantly more bandwidth 2 than they need, therefore opting for CAT6 or CAT6A. 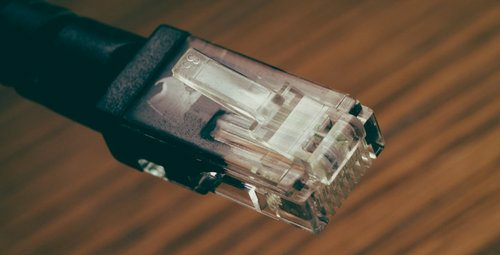 However, as more homes add additional technologies and uses for their ethernet 1 cables, such as closed-circuit security devices, smart home technology and automation, and personal servers, CAT7 or CAT7A may be more appropriate. For this reason, people who foresee an increase in their bandwidth 2 use may opt for the faster cable, while those who infrequently update technology may find that CAT6 is sufficient. The general recommendation for home use is a CAT6 cable. It has enough speed to handle downloads and gaming. A home with an average internet connection will perform solidly with CAT6 or CAT6A. However, if you’re running multiple applications, such as those needed by smart home technology, or using it in a business environment, you may get better results from a CAT7 or CAT7A cable because these can support multiple applications with fewer errors and less crosstalk. To transmit more bandwidth, the wires become heavier and become more difficult and more costly to install. CAT6 costs about 50% more than CAT5, and CAT6A costs 50% more again. This is because the conductors are more tightly twisted and contain separators between the wires to help eliminate crosstalk and increase insulation. For this reason, the cables don’t always connect without modular connectors, and the wires themselves must be cut more slowly. A CAT7 installation is not considered standard at this time, which means it can be more difficult to find an installer who is willing to do the job, and the costs increase again by a minimum of 50%. For example, if a CAT5 installation costs $1,000, CAT6 will cost $1,500, CAT6A will cost $2,250, and CAT7 will cost roughly $3,375. This is due in part to the increased cost of the cables. Because the installation is more difficult, many installers choose to only work with the heavier cables at a premium price. The average home uses roughly 10 lines of cable with 200 feet per line. This requires a further 10 points of connection throughout the home. For 2,000 feet of cable, CAT6 costs roughly $200 while CAT6A costs roughly $350. Installation is $50 per connector, which makes the cost of wiring a home for CAT6 around $700 and CAT6A around $850. For 2,000 feet of cable, CAT7 costs roughly $1,200 and CAT7A costs roughly $1,600. The cost of installation for CAT7 is not yet standard, but most companies estimate around 50% more than CAT6. This makes the installation cost roughly $75 per connector, for a total installed cost of $1,950 for CAT7 and $2,350 for CAT7A. CAT6 has an estimated life cycle of around 10 years before errors and degradation begin to occur. CAT7, however, has an estimated lifespan of around 15 years. This is due in part to the heavier copper used, as well as the greater amounts of insulation shielding it. This is why many people looking to future upgrades for their homes may want to consider CAT7, as they will be less likely to need rewiring before the bandwidth is maxed. One of the innovations of CAT6 is the separation of the wires within the cable, which in turn helps to better insulate and reduce noise and crosstalk. CAT6A saw further improvements in noise reduction, and CAT7 and CAT7A have even better insulation, with the least amount of noise and crosstalk of any cable currently available. Both CAT6 and CAT7 are backwards compatible cables. This means that they will work with CAT4 and higher, so upgrading to either system does not mean needing to upgrade equipment as well. The Telecommunications Industry Association (TIA) and Electronic Industries Alliance (EIA) have set standards for wires and cabling, which help standardize installation and performance. At this time, CAT6 is recognized as conforming to the TIA/EIA standards, but CAT7 is not. This may change in the future but can make it more difficult to ensure proper installation and get any necessary support. How much does it cost to install cat6 or cat7 cabling in my city? Cost to install cat6 or cat7 cabling varies greatly by region (and even by zip code). To get free estimates from local contractors, please indicate yours.